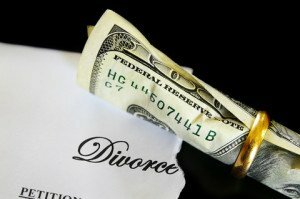 Contrary to popular belief spousal support and alimony are alive and well in Nevada and might well be granted in a divorce. Spousal support is financial support given by one spouse to the other while the parties are still married, before a divorce, usually as part of a separate maintenance action (a.ka. legal separation). Alimony is financial support given by one spouse to the other spouse after a divorce. Alimony payments are deductible to the payor and considered income to the payee by the IRS. Alimony is separate from any property settlement. Since the advent of women in the work force, alimony isn’t granted as often as it was in divorces in the past when a lot of women were stay-at-home moms or homemakers. Note that Nevada is a “no fault” state, so bad acts (such as cheating on a spouse) that do not cause economic harm or “community waste” are not grounds for temporary spousal support or alimony. If you need spousal support right away when you file for divorce, you must file a motion for temporary spousal support. This will get you a hearing in front of the judge sooner. If it’s a marriage of less than 3 years, alimony is unlikely though not impossible. If the marriage is from 3 to 20 years, alimony could be granted for as many years as half of the length of the marriage, e.g, if married for 10 years, alimony is paid for five years. If the marriage was longer than 20 years then permanent alimony is highly possible, and even likely. Alimony ceases by operation of law on death or remarriage of the spouse receiving alimony. Alimony can be modified if there is an increase or decrease of 20% of more in the paying party’s income. This is a change of circumstances. However, the Court will look to see if the payor is underemploying or unemploying himself to make sure that the modification motion is in good faith. Parties also have the option to stipulate to non-modifiable alimony which would preclude a modification motion. An option to monthly alimony payments is a lump sum non-modifiable alimony. In fact, with much older couples the Court will often consider lump sum alimony instead of periodic payments simply to avoid the payee becoming suddenly destitute because of the untimely death of the payor.